IPL 2017 is set to start from 5th April, 2017 at Rajiv Gandhi International Cricket Stadium, Hyderabad, between Defending Champion Sunrisers Hyderabad and IPL 2016 runners up Royal Challengers Bnagalore. After the completion of IPL 2017 Auction the team squad are finalised. Suresh Raina, Ravindra Jadeja, James Faulkner, Brendon McCullum, Dwayne Bravo, Aaron Finch, Dwayne Smith, Dinesh Karthik, Dhawal Kulkarni, Praveen Kumar, Andrew Tye, Ishan Kishan, Pradeep Sangwan, Shivil Kaushik, Shadab Jakati, Jaydev Shah, Nathu Singh, Basil Thampy, Tejas Singh Baroka, Manpreet Gony, Jason Roy, Munaf Patel, Chirag Suri, Shelly Shaurya, Shubham Agrawal, Pratham Singh , Aksh Deep Nath. David Miller, Manan Vohra, Axar Patel, Glenn Maxwell, Gurkeerat Singh, Anureet Singh, Sandeep Sharma, Shardul Thakur, Shaun Marsh, Wriddhiman Saha, M Vijay, Nikhil Naik, Mohit Sharma, Marcus Stoinis, KC Cariappa, Armaan Jaffer, Pardeep Sahu, Swapnil Singh, Hashim Amla,Eoin Morgan, Rahul Tewatia , T Natarajan, Matt Henry, Varun Aaron, Martin Guptill, Darren Sammy, Rinku Singh. Gautam Gambhir, Sunil Narine, Kuldeep Yadav, Manish Pandey, Suryakumar Yadav, Piyush Chawla, Robin Uthappa, Shakib Al Hasan, Chris Lynn, Umesh Yadav, Yusuf Pathan, Sheldon Jackson, Ankit Singh Rajput, Andre Russell, Trent Boult, Chris Woakes, Rishi Dhawan, Nathan Coulter-Nile, Rovman Powell, R Sanjay Yadav, Ishank Jaggi, Darren Bravo, Sayan Ghosh. MS Dhoni, Ajinkya Rahane, R Ashwin, Steven Smith, Faf du Plessis, Mitchell Marsh, Ashok Dinda, Ankush Bains, Rajat Bhatia, Ankit Sharma, Ishwar Pandey, Adam Zampa, Jaskaran Singh, Baba Aparajith, Deepak Chahar, Usman Khawaja, Mayank Agarwal, Ben Stokes, Jaydev Unadkat, Rahul Chahar, Saurabh Kumar, Dan Christian, Milind Tandon, R Tripathi, Manoj Tiwary, Lockie Ferguson. 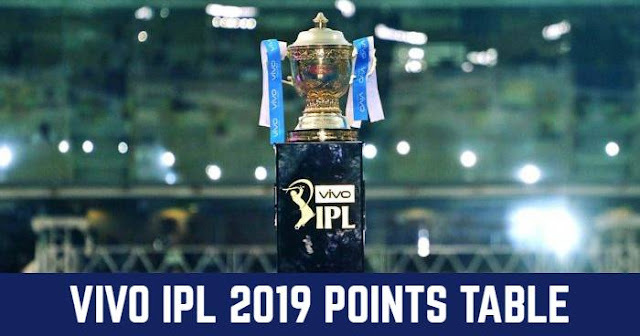 Virat Kohli, KL Rahul, AB de Villiers, Chris Gayle, Yuzvendra Chahal, Harshal Patel, Mandeep Singh, Adam Milne, Sarfaraz Khan, S Aravind, Kedar Jadhav, Shane Watson, Stuart Binny, Samuel Badree, Iqbal Abdulla, Travis Head, Sachin Baby, Avesh Khan, Tabraiz Shamsi, Pawan Negi, Tymal Mills, Aniket Choudhary, Praveen Dubey, Billy Stanlake. Complete Sunrisers Hyderabad Team Squad.